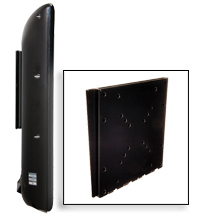 Put small screens almost anywhere with this compact, versatile mount. 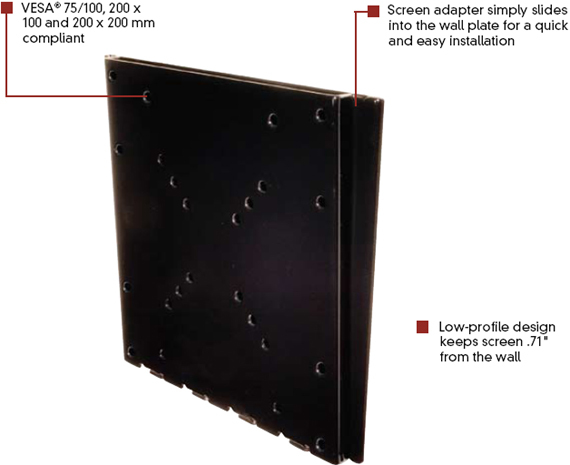 Simply attach the wall plate to the wall, the adapter plate to the screen and slide it on to the wall plate, done. 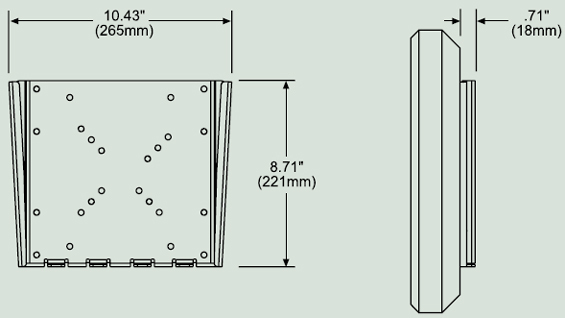 At only 0.71" from the wall, this sleek mount is ideal for low-profile applications.